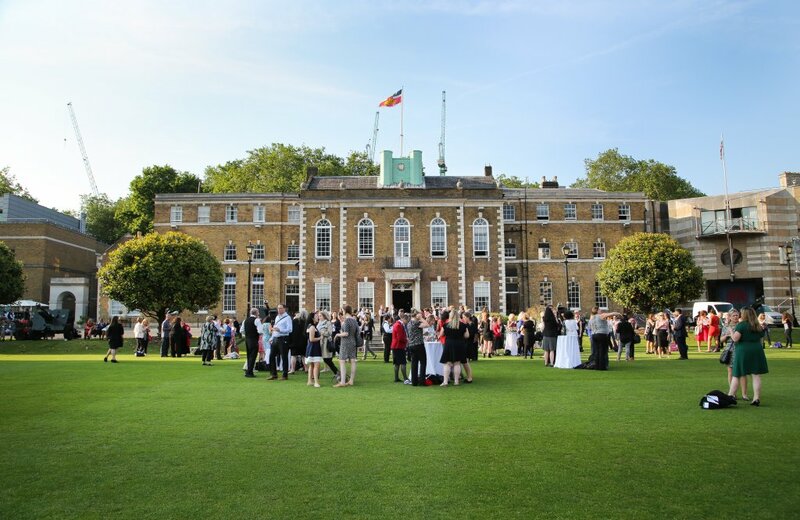 The Honourable Artillery Company is quite unlike any event venue in central London. Set in a five-acre garden, just a few minutes from Moorgate station, sits the magnificent Georgian mansion which is available for corporate events throughout the year. From small meeting rooms for 10, to the Prince Consort Rooms which seats up to 400 guests, the HAC is able to offer a variety of options for conferences and events. The Prince Consort Rooms were officially opened by The Queen in 2007 and provide a light and airy space, featuring an inbuilt atmospheric lighting system and AV infrastructure. The Armoury and the Prince Consort Rooms provide fantastic spaces for your corporate event, however, what sets the HAC apart from our venues is the spectacular six-acre Artillery Garden. The Garden can be hired for a variety of activities, including corporate fun days and barbecues. Our highly-skilled team at The HAC are able to provide your corporate event with the highest standard of catering and service to suit this prestigious venue. Our seasonal range of menus feature an extensive selection of catering options; however, we are more than happy to work with you to create a bespoke menu to meet your requirements.